摘要 用网格法采集开封城市表层土样99个,测定其As、Cd、Cr、Cu、Ni、Pb和Zn含量.分别采用污染负荷指数(PLI)和潜在生态风险指数(RI)评价土壤重金属污染和潜在生态风险程度,应用Kriging空间插值法探讨土壤重金属污染和生态风险空间分布,并对重金属的来源进行讨论.结果表明,开封城市土壤大部分发生了Cd重度污染,Zn中度污染,Pb和Cu轻度污染,而Ni、Cr和As均没有污染.土壤Cd存在极强生态风险,其余元素均为轻微风险.各样点7种重金属的平均PLI为2.53,总体上属于中度污染;平均RI为344.58,属于很强生态风险.PLI和RI空间分布相似,高值区分布在东南部的老工业区和陇海铁路开封客、货站附近,其次为老城区;低值区位于北部和西部,污染和生态风险较轻.镉既是最主要的污染因子又是最主要的潜在生态风险因子,其来源主要与化肥厂烟尘及污灌区表层土壤空气迁移、交通运输和燃煤等人类活动有关. Ninety-nine topsoil( 0-15 cm) samples were collected from Kaifeng City,China using the grid method,and then the concentrations of As,Cd,Cr,Cu,Ni,Pb and Zn in the samples were measured by standard methods. Soil pollution levels and potential ecological risks of the heavy metals were assessed using the pollution load index( PLI) and potential ecological risk index( RI),respectively. Ordinary Kriging interpolation technique was employed to investigate the spatial distribution of PLI and RI of the city. The results showed that high pollution of Cd occurred in Kaifeng urban soils,and there was moderate pollution of Zn,slight pollution of Pb and Cu,and no pollution of Ni,Cr and As. Very high ecological risk was posed by Cd and low risk by other metals.The mean PLI of the 7 metals from all sample points was 2. 53,which was categorized as moderate pollution. The average RI was344. 58 which represented a considerable ecological risk. PLI and RI shared a similar spatial distribution with high values centralized in the old industrial area in the southeast and railway stations for passengers and goods in the south of the city,followed by the old town within the ancient city wall,and low values located in the north and west areas. 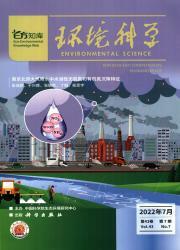 Cadmium was the main factor for both soil pollution and potential ecological risk primarily due to farmland topsoil in the eastern suburb of Kaifeng City with high Cd concentrations resulted from sewage irrigation deposited in the urban area by wind,human activities such as soot discharged from the chemical fertilizer plant of Kaifeng,transportation and coal combustion.